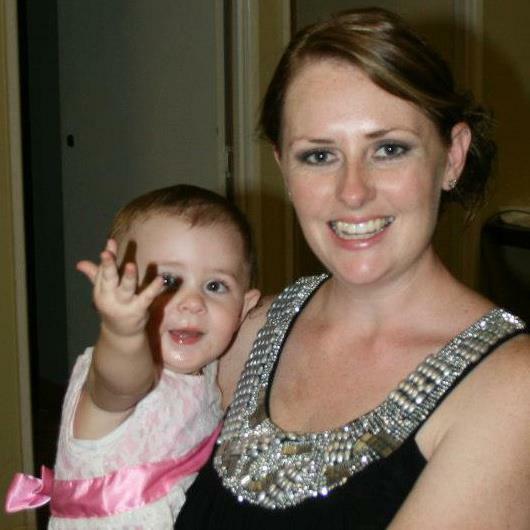 My name is Teagan Childs, I am a first time mum of a one and a half year old little girl named Hannah. I have just recently moved to Emerald QlD from Kingaroy and Dalby where we spent the last six years but I am originally from Maryborough QLD. I am a former Child care Group Leader in which I worked for over six years. Now I am a stay at home mum and am currently studying my Bach of Education- Early Childhood. I am enrolled in EDC3100 ICT and Pedagogy and EDX1450 HPE Curriculum and Pedagogy this semester in S2. This will be my second Prac. I am really enjoying my studies so far and have learned so much already. Through out my learning journey in this course I am hoping to learn how to use social media and other technologies to help me to provide better teaching skills for my future students. When I am finally out in the field I hope to teach grades 2-3 in the primary school setting. I love children, so when I am a teacher I hope that I can make a difference in the people my students will become. I am very aware that all students come from a wide variety of home circumstances and I hope that I can provide each student with stability, someone they can trust and who cares about them as individuals even if they don’t receive those qualities outside of the school setting. Thomas Friedman (author, reporter and columnist.) is not an educator but his perspectives on globalisation have had a big impact on the way I view of ICT in education. Friedman is most noted for his concept of the “flat world” in his book “The World is Flat, 2005”. The world is flat is a metaphor for the level playing field created by technological and political advances that have enabled individuals from vastly different situations, backgrounds and locations to collaborate or economically compete. The invention of the personal computer and the creation of a world-wide digital infrastructure have brought about a great turning point which advances level the global playing field and enable individuals to shape our economic future. For education to ignore the implications of the “Flat world”, in Friedman’s thoughts would be left behind or caught sleeping. He states “successful competitors in the new world must be prepared with an education that enables them to think creatively and sympathise ideas from divergent areas”. In light of this new flat world, what kind of education is going to be the best preperation for a new era of global competitivness? “In the future, how we educate our children may prove to be more important than how much we educate them”.